I am writing this post because one of my blog visitors emailed me. He had many questions about the Blogging, and I didn’t have much time to answer him personally through Facebook or Skype. So, I asked him to email me all his questions and queries he had, so that I can share it with all my blog visitors too. He is a new blogger and runs his Blog www.trends.ieenews.com and wanted to know that how I Grow my blog traffic in such a less time. Here is the email with all his questions that he has sent me. “Myself Navjot, hope you did remember our chat on FB yesterday…!!! The thing is that I’m very new to the blogging and wants to make my living with full-time blogging. But as a beginner I have a lot of queries, I hope you can answer them. 1) Is it worthy to go for blogging as a full-time profession(to some extent I know it is good like there are many bloggers out there who started with bit and now are ruling blogosphere like (Jaspal Singh Ji)……but still would like to know it from your personal experience..?? 2) How you got so many views and visitors on your website within six months and with just 40 posts (indeed, your content is informative and attractive) but still I’d saw plenty of people out there who post nearly 10 article each day still doing poorly with visitors. So if it is good for you then can you please tell me how you do it. I know I am not that expert like Neil Patel or Brain Dean but I just have an experience in SEO for about almost five years and just started my Blog on 5th of October 2015 (more than Six Months ago). If we talk about Neil Patel and Brian Dean, they have years of struggle and experience and are almost ruling with their blogs and services on the Top with their SEO Niche. In one of my post, I have already shared all the techniques that have worked for me to get more traffic to my blog. But my friend Navjot have some questions which he has emailed me. And I will be trying to answer them all with best of my Knowledge. And I am sharing this with all because there may be many newbie bloggers who would be having the same queries or problems. So. Question 1: Is it worthy to become a Full-Time Blogger? Answer: My answer to this issue will always be yes, if you can depend on your parents or have other sources of income then I recommend you go with full time blogging because earning through blogging is a long process and sometimes one has to wait years to make money. And if you are thinking of becoming a full-time blogger then I suggest you have some patience, especially if you don’t have any knowledge about SEO. But if you don’t have the patience or finically not well then you should run your blog as a part blogger till you get a healthy Earning from it. Even, I For the first two months of my blogging was doing the job along with it and when I felt that I don’t need a job, gave it up to become a full-time blogger. There were Many Bloggers who begin their career as a part-time blogger but now have become a full-time blogger. I have many friends who have their blogs, but there are two of my friends who earn online. My Friend named Prince Ramgharia runs a blog named Being Tricky and is a full-time blogger and makes his living through it. And another friend Rajesh Arora runs two blogs called tecvarsity and Aboutme.asia. When I was a beginner in SEO, he was my mentor and even helps me whenever I have any queries about SEO, and his primary source of income is search engine optimization. Question 2: How I Get so many Visitors to my Blog? Answer: I have almost 40 posts and publish a post once a week, but still I get many visitors to my blog. The only reason for more traffic is a content promotion with proper techniques. Writing only good content doesn’t work these days, but we have to do many other things to get more traffic. Here are all the techniques which I have been using to get more traffic to my blog namely the Brian Dean’s Skyscraper technique, Use of perfect LSI Keywords, Long Tail Keywords, Guest Posting, Doing Social Bookmarking, Social Media Optimization, Commenting on others blogs, exchanging links with high profile bloggers, internal linking, Slide Sharing and Answering questions on sites like Quora. The Above techniques will help you to get more links and will also help you to get more organic traffic to your blog. And I must tell you that posting multiple posts a day will reach nowhere until you have more good promotion strategies or techniques. Like, Build communities on social media and other community forums. There are sites like triberr.com, indiblogger.In, Inbound.org and some more which can help you to grow your Blog traffic. How to increase your traffic with Digg. How you can promote your Blog with Triberr. Question 3: How I get Comments from professional Bloggers? Answer: The only reason I get comments on my blog from Professional Bloggers is that I am an active commenter. I usually comment on many blogs each day, maybe from 40 to 50 comments a day. I have subscribed to many blogs with high domain authority with the same niche of mine. And continuously comment on the others blogs, many of the bloggers return the favor by commenting back on my blog. Another thing that you can do is write the guest post on the others blog and also accept a guest post from others too. And one of the best ways to get comments is to write a round-up post including many bloggers. I have taken part in many roundup blog post and seen that the host of the roundup post gets tons of comments, you can do the same to get lots of comments. How to get your comments approved quickly? Question 4: Do a Subdomain effect a main Domain? Answer: I don’t think that the subdomain has any effect on the primary domain. I had seen a case when Google penalized my main domain, but the subdomain was appearing on the Google’s SERP with all the proper results. The reason for this was negative ranking, and Google may apply all the penalties on page levels, root level domain or a subdomain level. If you are trying to rank your subdomain, it is somehow good and will appear on the results. Because the reason for that is Google counts many factors for the ranking; links, Proper On-Page SEO and some of the other aspects. I have also used many subdomains to create blogs or websites and have seen no effects on my main domain but sometimes a better linking through the subdomain and the root domain. But root domain is much better than the subdomains regarding better ranking and earning. How to boost the Alexa Rank of your Blog? How can you increase domain authority your blog? Question 5: How Much I earn? Answer: Well that’s a tricky little question. As it has been just six months that I am running this blog and got Google AdSense approved Four months before. I mean in these four months I have earned enough that I need not ask any money from my parents for my expenditure. In these four months, I have received different amounts; there is no fixed payment. My primary source from my Blog is Google AdSense, but except that I also do Web development and SEO, if I get any Clients. And besides this, you will find many affiliate links on my blog and that is because I am earning a healthy income using affiliate marketing. And if any of you have any questions or queries about Blogging or SEO I will be happy to help. Thanks, Robin for sharing your honest experience with us. Will try to implement some of techniques mentioned. Hope it will help me. I am sure that these techniques will work for you. The Reality is consistency. It is the key of blogging to success. Consistency really matters in blogging, I would rather say that it is needed even we are running a website. Thanks for sharing your feedback. And Hope that you to learned something from this post. Awesome blogging Journey. You are Inspired me to grow my site into new level. Thanks a lot. Hello Robin, I really enjoyed your blog post today! this was such a great idea to share the answers here on your blog! Instead os writing answer for one person i wrote it for all. What a great way you have crafted this blog post. I like the question of how come you get pro-bloggers on your blog. Well, you work hard to go to other blogs from new to pro bloggers and this is why they reciprocate. Pretty easy but surprisingly not too many people do it. I agree with you that Most of the Probloggers very rarely return the favor. worth of reading and your experience and knowledge are really helpful for many new bloggers like me.. blogging is serious career and work with passion, patience and knowledge thanks for sharing your experience mate ! Great guidance for growing the blog easily. I will definitely follow the steps in order to grow my blog. Great to read your 6 months experience in blogging. You are welcome Santanu. In blogging, we must go for the correct answers, to get the trust from our visitors. becomes more pleasant. It needs also a lot of learning and commenting on other blogs. You did answer the question really the way it is and it will help others to be more confident. 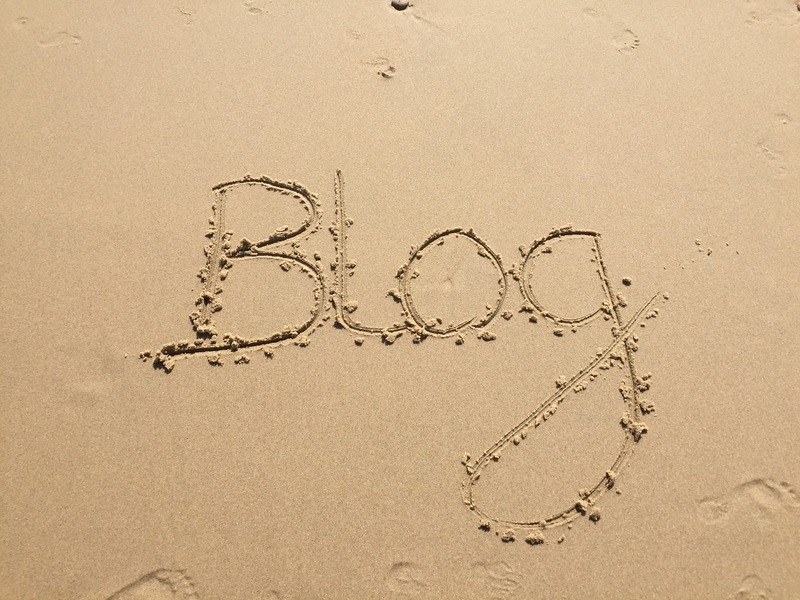 Thank you for writing down the basics about growing a new blog. I believe it really depends on the niche and what you are talking about. If you bring controversial topics on the table, then you might get lots of attention or none. I really appreciate your time to reply to the mail and all these questions. Now I have a lot to think about. Thank you! Indeed, blogging pays but it takes time, and a lot of effort like you rightly said, as a new blogger that desires success the key is work hard to create quality content and work even harder to promote your content depending on what works best for you. These are awesome tips to how you grew your blog ! In the long run, blogging does pay as long as you stay consistent, daily 🙂 Thanks for sharing! Yes, in Blogging we have to be consistent. Thanks Muhammad for the comment and kind words. Nice techniques and hope if someone use these methods then they will get good results. Really well written and smartly answered. I would say that starting shall always be as a part time blogger and when you are able enough to fetch a full time income, you can accept blogging as your full time work and profession. yes, you are right if you don’t have much money for your living then you should startup as a part time blogger. And also thanks for kind words and visit to my blog. I have read this article. Well written. 1) I am new blogger and i have purchased domain in .in domain extension and then i use to make good traffic on it. Now i have 400+ visitors directly comes from google. But there is not any visitors comes from bing or yahoo. Actually i have verified with bing and yahoo webmaster but not getting traffics from bing or Yahooo. Please tell me how to get traffics from bing and Yahooo…!! 2) There is only Indian visitors. Please tell me how to bring visitors from outside of india.. I think it is hard to get traffic from Bing or yahoo because there may be very fewer people using those search engines as compared to the Google. And secondly Yahoo and Bing have little different search algorithms and you might be optimizing your site according to google rules only. Although Bing has very fewer algorithms as compared to google but There have to be something you missing. I will give you an additional tip: Get some search related queries from Bing according to your niche and try to place those keywords in your post’s content and meta descriptions. It might help you to get some traffic from Bing. For better understanding read my Latest post about Niche. It may be helpful to you. And answering your second Question. You have got a domain that is .in which meant to get traffic for you in India only. But although you can make some changes in Google webmaster tools to get some international traffic. Hope this answer helps you. It was a enjoying experience throughout the post. From starting only I was curious to know the answer of questions. Even I can answers all those questions very well but I was looking what your answer will. You answered in a great way. Hello Robin, you have really done a great job by posting this article on the blog, i am also a new blogger and i had many myths about the blogging and you just cleared it the way, thanks for sharing this awesome information. You have answered all the questions very nicely and it cleared many doubts of mine as newbie blogger. It is very commendable that within 6 months you have done such a great job. I am glad that you are able to clear all your queries through this post. And thanks for the kind words. This is most cmmon question one ask from other blogger you answered all the question in very clear manner. Hi Robin, its great to be on your blog again. This is such a nice post. I would like to thank navjot for reaching you and asking you all these questions. And thanks to you too for sharing it with all of us here. This is a quite informational post. Thanks again. I am glad that you liked the and found it informational. Thanks for your feedback. I remember when I was actively blogging in 2013, I succeeded in only publishing just 20 posts but I got over 2700 comments and very huge traffic. And like Navjot, someone asked me some questions about how I get loads of traffic and comments to my blog. I did reply with a guest post I published on Charmin Patel’s blog that won me $30 – that post was titled “Do you make these blogging mistakes? See Smart Ways to Fix Them”. I am currently rewriting that in a FREE book I will be publishing soon and it’s now been elevated to “101 Common Blogging Mistakes” and it will answer every worries of newbie/average/pro bloggers. Robin, you did a very nice job with this post. Well done! Thanks for the feedback. Your comment makes it more valueable. Great post ! That was a very insightful and informative post that a lot of bloggers will definitely learn from and find very helpful. Thanks for sharing that information in a detailed manner. I am glad that you liked the post. Thanks for the feedback. I see you promotes many affiliate product. How do you keep track all of it? Do you do manually or automation? Any tips or tools that you recommend? I keep my all thing saved in the Google Drive using the Google excel sheets. Thanks for sharing your story, we will sure try some of the tips that we still didnt do in our blog.. great post! Often visit your blog mate! You are doing best with blogging, Few tips i learned from your posts on how the blog works and kind of traffic need to generate income through a blog. Well, sharing your real-time experience is worth for many new bloggers. The first question is every valuable. Years back blogging was a hobby, and now it’s a hottest home based business with low investment. Of course need good amount knowledge on chosen niche as well as the right way to promote the blog. Nice Content as always!. You have mentioned some brilliant techniques in your post. Hey Robin thanks for sharing your experience i think its really great time to start a new blog after read your post. The post is inspiring. I have been blogging since 2012 and all what you have mentioned/advised are right on point. For the newbiew and enthusiastic bloggers, one thing they forget to understand is that blogging is serious work. To be successful, one needs to be dedicated, committed, and be involved in lots of promotional activities. From my own personal experience, blog commenting was what boosted my own blog to limelight. Yes, Blog commenting can do wonders alone but if done perfectly. 6 months to get money from the blog is possible?, i want to built my blog because more that money i want to explain my life. Yes, If I can do that, so you can also. I will recommend you to give it a try. Really inspirational. After about 2 years of useless blogging, I can say to the beginners, maintaining the post quality is important, but don’t be overzealous about quality and perfection. Best advice in blogging. Blogging is business and not a child play. It’s worthy to go into full time blogging if you have side income generator. Thanks a lot for sharing this wonderful article. Will strongly recommend my brother to read also. This is really a helpful article for those who afraid of blogging. In my point of view, blogging is awesome you just have to patience and passion too. Thank you for sharing these points with us. thank for this great information sharing with us, and this is also a common question asked by every blogger who new in this field. Really Thankful for this help article. informative and authentic.